The ISI spy, nabbed by the police yesterday, was living in a self-imposed exile for a pittance, as he was paid Rs 5,000 a month sent to him through Forex agents by his Pakistan-based masters for five years. Even as various agencies of the Punjab government have been claiming that water in the state has been free from a high concentration of heavy metals, the chemical analysis of 11 samples of water drawn from various villages located near the Pakistan border and the Sutlej in the district few weeks ago has given a rude shock to the district health authorities. A visit by teams of Reserve Bank of India (RBI) in the public sector banks located in areas of Punjab, bordering Pakistan, has revealed that counterfeit currency notes were present in the currency chest of a section of such banks. The Khalra Mission Organisation (KMO) here today submitted a list of 148 police officials, who were allegedly involved in ‘genocide of Sikhs’ during militancy period in the state, to Akal Takht. While urging the Government of India to come out with the exact number and names of Sikhs figuring on its “black list”, MP Tarlochan Singh has alleged that 129 Sikhs with valid passports were not allowed to enter India at Indira Gandhi International Airport in New Delhi last year by the Indian authorities. Promoters of around 200 illegal colonies in Zirakpur, Dera Bassi, Lalru, Banur, Kharar, Kurali and Nayagoan, have a reason to cheer. The Greater Mohali Area Development Authority (GMADA) is letting the promoters who are said to be politically well-connected, including those against whom police complaints for unapproved colonisation are pending with the Mohali Police, off the hook. In a significant move, the BJP high command today made former Union Finance Minister Yashwant Sinha in charge of party affairs in Punjab. He has replaced Balbir Punj, who has been sent to Gujarat in the same capacity to handle party affairs there. Captain Abhimanyu will assist Sinha in the state. Issuing notice of motion for September 9, Justice Ajai Lamba of the Punjab and Haryana High Court has restrained Punjab from issuing appointment letters to 7,654 candidates for the posts of lecturer, master and teacher in the state Education Department. Protesting against the denial of permission by the railway authorities over the draining out of accumulated rain water from their locality to another locality by channelling it under the rail track, residents of the local Bangi Nagar area today stopped the Howrah-Sriganganagar express train for about 45 minutes here. The Punjab Police has decided to seek Rs 84 crore from the Centre under the Criminal Tracking Network and Systems (CCTNS) for which there is a total allocation of Rs 2,000 crore under the 11th plan. Transport Minister Master Mohan Lal, refusing to buckle under pressure from private transporters and department officials, yesterday said the increase in bus fare should not be more than 4 paise per km. Respite from rain gave a sigh of relief to the people even as most of the drains still continued to overflow in Moga district. A drain on the Bohna road on the outskirts of the town, which was overflowing at some locations for the past couple of days, has kept the administration on toes throughout the day. Beginning this semester, Punjab Technical University has completely ruled out any manual involvement in the dispatch of question papers at examination centres, thus eliminating any chance of paper leak. After the floods caused grave destruction in several areas of Patiala besides damaging the crops, the affected farmers of Shatrana areas got some relief as UK-based Surinder Singh Nijjer came to their rescue and offered them financial help. Anticipating heavy rains this year; Ropar district magistrate AS Miglani has ordered round-the-clock patrolling in villages situated on the banks of the Sutlej, Swaan, Budki, Sagrow, Sirsa and other rivulets. A delegation of the Bharti Kisan Union (Lakhowal) leaders, under the leadership of its district general secretary Surinder Shahpur, met officials of the Drainage Department here yesterday. A Chandigarh-based NGO Arrive Safe expressing concern over the rise in number of accidents in Chandigarh and adjoining areas is conducting an online survey to enquire about the safety of commuters and pedestrians on roads. The NGO raised various issues, like road safety, shrinking pedestrian space and lack of public transport vehicles. The Netaji Subhash National Institute of Sports (NSNIS), Patiala, known as the Mecca of Indian Sports, will soon don a new look as the Centre has issued a grant of Rs 7 crore for its renovation. The Punjab Pollution Control Board today released a “composite consent and authorisation form” to facilitate industries and to reduce procedural bottlenecks. The form will be operational on August 15. Paddy and other crops in thousands of acres came under knee-deep water in Gajni Wala and its surrounding villages even as more than a dozen houses in the village were razed to the ground by strong currents after a bridge over Phida drain flowing nearby caved in today. Pakistani national Nizam Baksh, alias Sandeep Singh, who had sent vital information about army's movement and installations through couriers to a Dubai address, was leading the life of a wanderer and did not rent any room during his stay in the city. Working as a plaster of Paris contractor, 27-year-old Nizam used to stay at the construction sites where he was engaged in the work. He had started to feel homesick and wanted to go back. But he was not allowed to do so. Posing as Sandeep Singh of Shahkot in Jalandhar, Nizam, who studied up to middle standard in a Multan-based school, learnt Hindi and emailing in a special training camp of the Pakistan army in Lahore for one-and-a-half month before he was sent to India, entrusted with the task of gathering information and sending it back. He used to access internet from cyber cafes, had a hotmail account and sent mails to an email id. He preferred to delete all received and sent mails from his account after accessing them. Kotwali SHO Manjinder Singh, who has been investigating the case, said his account was deleted yesterday after he was nabbed. The SHO said he belonged to a poor family, had three brothers, a sister and a widowed mother in Multan. He had left home to work as a farm labourer in Lahore, from where he was picked up by the Pakistan army. ‘‘He was promised Rs 10,000 per month, out of which he was paid Rs 5,000 and the rest was to be paid to his family. But he said he was not sure whether his family was receiving this money, as he was not able to speak to his family for all the five years,’’ said Manjinder. Nizam was trained to get mingled in the population and not to do anything so as to get noticed. He was warned to stay away from women, as he was circumcised and it could arouse suspicion as he posed as a Sikh. He was flown to Karachi from Lahore and then to Dhaka and finally to Kathmandu in Nepal. From Nepal, he took the road route till New Delhi and finally reached Ludhiana. From here he travelled to other cities for his POP job. The analysis of these 11 samples of water, which was done in the state public health laboratory, Chandigarh, has revealed that the concentration of arsenic metal was more than the prescribed limit in eight samples of water. 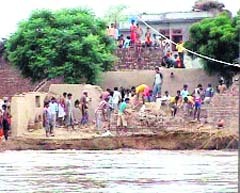 A large number of villagers living on the banks of the Sutlej have been suffering from various ailments, including different kinds of cancer and stunted growth, as they are forced to consume underground water which has allegedly been polluted by industrial wastes of Ludhiana, Jalandhar and Kasur town of Pakistan being released into the Sutlej. Ever since a recent report by a Faridkot-based NGO found heavy metal traces in the bodies of 141 children of Punjab and its neighbouring states, different agencies of the Punjab government have been on their toes to prove that report wrong. However, the report released by the state public health laboratory, Punjab, to district health authorities has given credence to the NGO findings that poor people of border areas, who are deprived of piped supply of potable water, have been consuming arsenic-laced water. “Only three samples of water out of the 11 samples drawn from hand pumps in villages bordering Pakistan and located near the banks of the Sutlej have been found fit for human consumption and rest of the samples are dangerous for human consumption,” pointed of Kanwarjit Singh Makkar, civil surgeon, Ferozepur. He added that hand pumps in the affected villages would be sealed and the residents would be educated not to use underground water for self-consumption. He said against the desirable limit of 0.05mg/l arsenic, there was 0.10mg/l arsenic in two samples and 0.25mg/l in six samples. Meanwhile, Parminder Singh, media in charge, Punjab Pardesh Congress Committee (PPCC), has demanded that the state government should supply potable water to the residents of border villages. Information gathered by The Tribune revealed that about 31 fake currency notes of denomination of Rs 500 each were found in the currency chest of branch of State Bank of India located in this town on July 17, 2010, when an inspection was carried out by a special team of RBI. Though the manager of the branch got a criminal case registered against unknown persons in connection with the presence of counterfeit currency notes in the currency chest. What happened in other banks of the area did not come to light, as the authorities concerned remained tight-lipped in connection with the checking of their respective currency chests so far. Information revealed that special teams of the RBI carried out the inspection after getting information that fake currency notes were being pushed to India from across the border. In the past few years, the BSF and Punjab police had managed to seize fake currency to the tune of crores of rupees in this district, which shared longest border with Pakistan in Punjab and had got number of vulnerable points that could be used by smugglers easily. A senior functionary of the bank, while pleading anonymity said though all the necessary steps were being taken to prevent the receipt of fake currency notes, it had been taking place even then. SSP Ferozepur SPS Parmar said manager of the SBI came to him with an application for registration of criminal case in connection with detection of the fake currency notes in the currency chest of that bank. The memorandum signed by seven office-bearers of the KMO demanded that the highest temporal seat of the Sikhs must summon former DGP Punjab KPS Gill in matter of cremation of 25,000 bodies as unclaimed and added that the Parkash Singh Badal government must also register an FIR against him in this regard. It also sought that the state government must appoint a judicial commission to conduct inquiry against these 148 police officials. It opined that the committee for inquiry must be instituted in a given time frame and its violation must be dealt with social boycott of Badal and his party men. KMO president Harmandeep Singh Sarhali requested stopping of honouring those politicians and bureaucrats, who were involved in the “genocide of Sikhs”. Tarlochan Singh said as per his information there were only 59 Sikhs on the “black list”. “The government should put an end to the prevailing confusion over the issue,” he said. The MP appealed that why couldn’t the case of the Sikhs be considered after misguided Kashmiri youths were offered a chance to come back to Jammu and Kashmir from the PoK. “Most of the Sikhs had sought asylum in Canada, the UK and the US only to take advantage of the prevailing situation. They had migrated in search of greener pastures and they were not terrorists,” Tarlochan Singh said. “The Sikhs figuring on the black list should be given a chance to visit their motherland. They could be put under the lens during their visit. If they are found indulging in terrorist activities, they should not be allowed to come to India again,” said Tarlochan Singh, who was on a visit to the holy city today. All such colonies are being transferred to the respective civic bodies following a decision of the Punjab Housing and Urban Development to notify the Commissioners of Municipal Corporations and Regional Deputy Directors of the Local Government as the competent authorities under the Punjab Apartment and Property Regulation Act, 1995, (PAPRA), the Greater Mohali Area Development. While the promoters of the PAPRA-approved colonies had to pay substantial development charges and follow strict rules to ensure that the consumers were given basic facilities like community centres, schools and parks, there was absence of strict regulatory control under the town planning (TP) scheme with the civic bodies. In light of the order, instructions were today issued to the regulatory branch of the GMADA to identify all such colonies that fall within the jurisdiction before transferring the same to the civic bodies. Officials said at least 181 complaints against promoters of the illegal colonies were still pending with the Mohali Police. After issuance of the illegal colonies in Chandigarh’s periphery figured in an enquiry being conducted by an ADGP, Punjab Police, the Mohali police registered 40 cases in the last two months. But with the powers of competent authority under the PAPRA being given to the officials of civic bodies, the designated local government officials would deal the cases of illegal colonies. Over the years, governments in the state have been sitting on illegal construction in Mohali’s periphery. Time and again the limits of the Kharar, Zirakpur, Dera Bassi civic bodies were extended to regularise constructions under political pressure. The residents have demanded that the local bodies department should release the list of the approved and legal colonies. It will be easy for buyers and the general public to know the status of various projects. BJP leaders Navjot Singh Sidhu and Vani Tirpathi would assist Dharmendra Pradhan in running the Yuva Morcha of the party. Party national president Nitin Gadkari today announced the list of persons in charge of party affairs in the states. 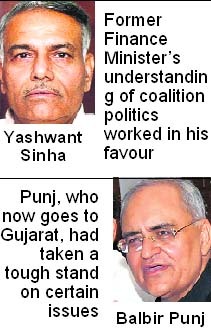 Sources in the BJP said Sinha had been made in charge of party affairs in the state because he had a better understanding of coalition politics. For the past two years, there have been many lows in the ties between the SAD and the BJP. At one stage, the relations between the coalition had turned bitter and the BJP high command had to intervene to resolve the differences. Even recently, senior BJP leaders from Punjab had met Gadkari and other leaders to bring to their notice certain issues required to be taken up with the SAD leadership. Balbir Punj, who lives in Delhi but belongs to Gurdaspur district of Punjab, had taken a tough stand on certain issues. He had been constantly pressing the SAD-led government to redress the grievances of the BJP MLAs, who have been seeking adequate allocation of funds for the development of their respective constituencies. Sources said the SAD leadership had urged the BJP high command to handle all the issues in a manner that harmony could be maintained between the coalition partners in the state. The change by the BJP possibly has been made keeping in view the SAD sentiments. The next Assembly elections are due to be held in the state in one and a half years. Obviously, Sinha’s first task would be to bring the relations between the two to a level where both would agree to contest the next elections as coalition partners. There are reports that owing to its somewhat tense relations with the BJP in the recent past, the SAD leadership has started probing the possibility of tying up with the BSP in the next Assembly elections in the state. The orders came after a separate list for men and women candidates was replaced, after the completion of the selection process, by a combined merit list. In their petition filed through Kapil Kakkar and Hema Kakkar, Jaskaran Singh and 11 other candidates had sought the quashing of a public notice dated July 9 changing the criteria for selection, after the completion of the selection process and preparation of the tentative merit list. Kakkar said an advertisement for filling 7,654 posts on a contract basis in the teaching and non-teaching cadres in the Education Department was issued on September 23, 2009. The posts included 513 of lecturer and 3,638 in the master cadre. The advertisement said the men and women ratio would be 50:50. In April, after the scrutiny of documents, the respondents declared that appointment orders to the newly selected 7,654 teachers would be issued within a week. State Education Minister specifically stated the recruitment process was complete and the authorities concerned had been asked to appoint the teachers on priority. But on July 9 on the reopening of schools after the summer vacation, the petitioners awaiting appointment letters were surprised to know they had been asked to again appear for the counselling and scrutiny of documents. They were called on the basis of a revised combined merit list of men and women candidates, which according to the respondents, was prepared on the basis of a high court decision dated January 8. After going through the new combined merit list, the petitioners were shocked to note their merit position had been shifted down. The action of preparing a combined merit list and not adhering to the terms and conditions of the advertisement were not only illegal and arbitrary but also unjust and unfair, Kakkar concluded. 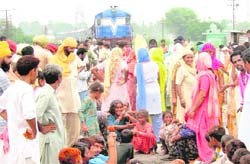 They blocked the Bathinda-Delhi rail track and also raised slogans in support of their demand. The protesters lifted the blockade when the Railway authorities granted permission to the Bathinda Municipal Corporation (BMC) to drain out the water from their locality to the Baba Deep Singh Nagar locality by channelling it under the rail track. Sensing the gravity of the situation, the local railway authorities and Railway Protection Force (RPF) personnel reached the spot to get the blockade lifted, but the protesters remained adamant till the rain water was drained out from their locality. Talking to TNS, the superintending engineer, BMC, B D Singla, said the Bangi Nagar locality was situated between two rail tracks. The rain water, accumulated in the locality, could not be drained out as the locality did not have a sewer facility. He said the BMC had sought permission twice from the railway authorities to lay a temporary pipeline under the rail track to get the accumulated water drained out, but the rail authorities did not grant permission till the strike took place today. Singla said after getting permission from the railway authorities they laid a temporary pipeline under the rail track and drained out the water with the help of a pump into a pond in the Baba Deep Singh Nagar locality. A decision to this effect was taken here yesterday at a meeting presided over by Director-General of Police PS Gill. The plan involves evolving a futuristic system of communication and technology. The DGP revealed that the CCTNS was an ambitious central Mission Mode Project under the National e-Governance Plan (NeGP). The CCTNS envisaged nationwide integration of crime and criminal information through adequate networking and had web-based applications in place. Following the recent increase in the price of diesel and other petroleum products, the transport lobby had built pressure on the state government to increase the bus fare. Even the government-owned Punjab Roadways and PRTC, which are running into loss, have urged the government to increase the bus fare to meet the operational cost. President of the Municipal Council Barjinder Singh Brar, alias Makhan Brar, who visited the area, appealed the people to help the local body to strengthen the banks and be more vigilant. Brar, while talking to The Tribune, alleged that the local body gave a sum of Rs 20 lakh well in advance in April this year to the Drainage Department to clean and strengthen the banks of this drain, but nothing has been done so far or until the rains played havoc in the area. “It is surprising to see that the Drainage Department has sent just three men on work and that, too, when the water started overflowing at some locations posing danger to the nearby localities,” he said. Meanwhile, there were reports that the drains near Buttar Kalan, Mangewala and some villages in the Dharamkot area were also flowing above the danger mark, but there was nothing to worry, claimed a spokesman of the district administration. There were reports that in most of the villages where the paddy crop was submerged under the rainwater, the farmers had drained out the water from their fields to the low-lying areas, causing damage to the public property. District magistrate Satwant Singh Johal said the problem of flooding had cropped up due to the ignorance of the farming community in many villages, where they had wiped off the natural drains and their passages in the past three decades. The university has devised an online mechanism for sending question papers at the centres just 25 minutes before the start of the examination. This December the papers will be sent through the Intranet, and the colleges concerned will take out printouts or get these photocopied for distributing these among the examinees. The university officials will use three other standby modes to ensure the timely dispatch of papers. “If the colleges are somehow not able to use the Intranet, they can ask for an e-mail or a fax copy. In addition, we will also send the college principal a single copy of an alternate paper packed and sealed, as the last option just in case the other three fail to click,” said the Controller of Examinations, Dr Nachhatar Singh. The decision perhaps comes in the wake of a recent episode of paper leak in PTU. Resolving one of the biggest problems of the students regarding delay in the re-evaluation of papers, the Controller claimed that from now onwards the students would be able to apply for the same within 15 days through the online mode and the report would be declared within 20 days. At present, the candidates are given 21 days to apply, that too through the manual channel. The processing time is so long that the result does not come for months, leaving the students in a quandary. It has also been principally decided that the re-appear examination will be held mid-semester, rather than with the rest of the examination. The re-appear examination for the current semester would be held in September, said Dr Nachhatar Singh. Even bigger decisions on examination reforms are likely to be taken in three months with the coming out of a report from the committee set up under the chairmanship of former PTU Vice Chancellor SK Salwan. Nijjer compensated each farmer with Rs 1,000 per acre of crop damaged and gave money to the tune of Rs 18 lakh among all the affected farmers of Shatrana. Nijjer, who hails from Jalandhar and is settled in UK, runs his own construction company. He has earlier also helped the flood-hit farmers of. He added that his mother Niranjan Kaur inspired him and Sant Baba Darshan Singh Ruli Wale (Amritsar). Nijjer has so far borne the expenses incurred on construction of about 1,500 houses for the needy. In Ghanuau (Patiala), he has got 600 houses constructed for the flood-hit. 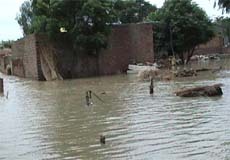 Villages in Ghanaur are flood-prone and the poor whose houses are washed away by floods have to suffer a lot, he said. “If I can do something by providing them one-room house with a kitchen and toilet, it is gratifying,” he added. Nijjer visited villages of Samana, Ghanaur and Patran yesterday. He attended the foundation ceremony of some of the new houses to be constructed for the flood-hit families. Interacting with family members of Bhartho Devi of Sassi Thai village in Samana, whose house was washed away by the recent floods, he assured them to get a house constructed. It has been ordered that all men (below 65 years) of Ropar district, who are inhabitants of the villages where rivulets, bridges, power houses, water works etc are situated, should patrol their respective areas 24/7. The delegation told the officials that floods would have caused lesser damage had the drains and seasonal rivulets been cleaned on time and the encroachments on these were removed. Citing an example of Kularan village, Shahpur said: “A barsati nullah exists in the village to save the land under cultivation in case of heavy rainfall. Surinder Shahpur said the nullah, thereafter, should be dug up so that it becomes functional to serve the purpose of being a seasonal rivulet. He also threatened that in case the Drainage Department failed to do the needful, the union would resort to agitation. “The affected farmers must be compensated accordingly”, he added. Harman Sidhu, president of the NGO, said they had taken views from 500 people, adding that, “We are getting a good response on our website as well”. He stated that there was a mixed response of people from Chandigarh, adjoining areas and even abroad, adding that the opinion of those living abroad was different from their Indian counterparts. According to the survey, 16 per cent of respondents stated that as pedestrians or cyclists, they felt safe on the city roads, while 84 per cent said the opposite. However, 87 per cent expressed their worries at the ever-decreasing safe pedestrian space, while 78 per cent said they would shun private vehicles and opt for public transport provided it was convenient and comfortable and 84 percent supported widening of roads outside their houses after cutting trees. Harman said he would highlight the issues after discussing it with senior government officials and traffic police functionaries. He said increasing number of accident deaths was a cause of concern, adding that the Punjab government was not doing anything to check it. He said the state government should curb the menace as Punjab had now became second state in the country after Nagaland with maximum numbers of road accidents. The institute, which has produced coaches of high caliber and has significantly contributed in rendering their expertise and assistance in preparing the national teams for global competitions, has gone unnoticed for about 50 years but now the Government has finally put an end to this. 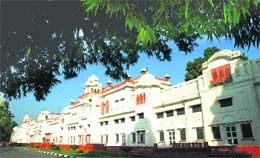 Housed in the erstwhile Palace of Maharaja of Patiala, NIS, which is now the Academic Wing of the Sports Authority of India, was established by the Government on May 7, 1961, with the objective of developing sports in the country on scientific lines and to train the coaches in sports disciplines. Since then, the Sports Ministry had not proposed any project for its revamp. Three years back, the SAI has issued a grant of Rs 5 crore but it was lapsed as the company that showed interest in working on the project backed off due to some internal conflicts. Now, that the Ministry has re-issued the grant with additional Rs 2 crore, the Punjab Government has taken the responsibility of completing the task so that no flaws were left while revamping the institute. Giving information in this regard, executive director of NIS, LS Ranawat said the Punjab Tourism Development Board was being considered for the project. He further said the project would likely be given to the company that was working on Sheesh Mahal project. “We are trying our best to ensure that the work begins without any further delay, as it is one of the most important projects involving NIS,” he added. Describing the form as a landmark in the history of the board, PPCB member secretary Dr Babu Ram said this performa would facilitate industrialists and develop trust among them. The collapse of the bridge resulted in the drain water getting diverted to the villages. The road links to the village and Gatti Mattar and Mattar Hithad were snapped. People were forced to find out safer places in absence of any help from the state government. Tension gripped Gatti Mattar village when two groups of farmers confronted each other over the opening of an outlet under the road to drain out water. However, timely intervention by the police saved the situation from taking an ugly turn. About 70 to 80 houses, located on the outskirts of these three villages, were marooned. DC KK Yadav, however, claimed that the water in these villages had started receding. The villagers expressed fear that if the required steps were not taken, their dwellings would be swept away.